Lamar Odom has opened his eyes and has been able to communicate at a Las Vegas hospital where he was taken after being found unresponsive at a Nevada brothel, according to news reports Friday. 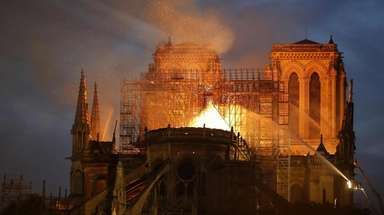 The Associated Press reported that a spokeswoman for an aunt of the former NBA star and Queens native said that Odom had woken up. The publicist for JaNean Mercer told the AP that Odom delivered a greeting and gave a thumbs up. ESPN reported based on unamed sources that Odom had been sedated while doctors made sure his organs were functioning properly. 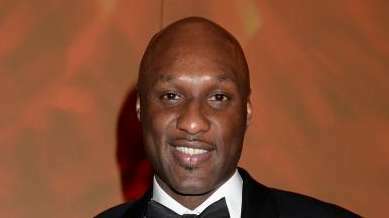 Odom was rushed to the hospital Tuesday after a three-day binge at the Love Ranch in Crystal. TMZ and other celebrity news organizations have reported that he had overdosed on a cocktail of drugs. He was found facedown by two women who had gone to check on him, the brothel’s owner told The Associated Press. Odom, whose highly publicized marriage to Kardashian was documented on “Keeping Up With the Kardashians,” was taken to a nearby hospital, but it was determined that he needed to be airlifted to another facility; however, his 6-foot-10 frame was too big for the helicopter. He was driven by ambulance to Sunrise Hospital and Medical Center in Las Vegas, where he has remained since. E! News reported that several basketball players, including Kobe Bryant, had visited Odom. “Hopefully he gets well, hopefully he pulls out of this thing, and get[s] the support he really needs,” Metta World Peace of the Los Angeles Lakers, one of Odom’s former teams, told E! News.